Informationen auf Deutsch sind hier zu finden. Informazioni in Italiano si trovano qui. 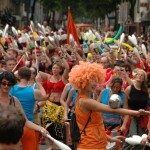 The EJC (European Juggling Convention) is the world’s largest event by jugglers for jugglers. 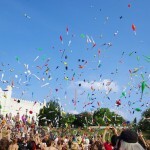 Each year it is held in another European city (the last being 2012 Lublin/Poland, 2013 Toulouse/France, 2014 Millstreet/Ireland) and serves the peaceful and joyful coming together of jugglers and artists. This year the EJC will take place in Bruneck from August 1st to 9th and about 3500 participants from all over Europe and the world are expected. 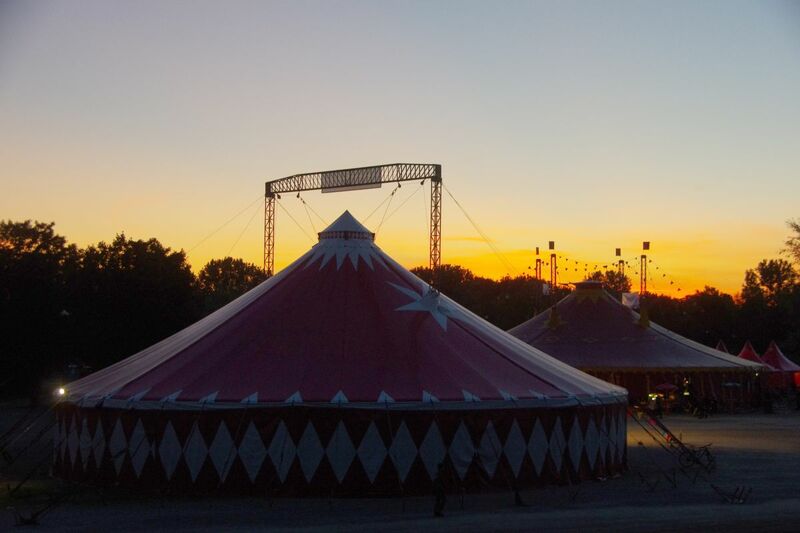 The EJC-site is located around the Bruneck school-center, the gyms will be used for training, the meadow for camping as well as for setting up Big Tops. There will also be several events going on in the city to which all inhabitants and visitors of Bruneck are cordially invited! 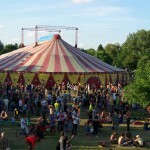 The EJC-site around the school-center will only be accessible for registered participants. But there will be a lot of events that will take place in the city-center and that will be accessible for free for everyone. The detailed schedule will be available at the Bruneck Tourist Information Office by mid July. 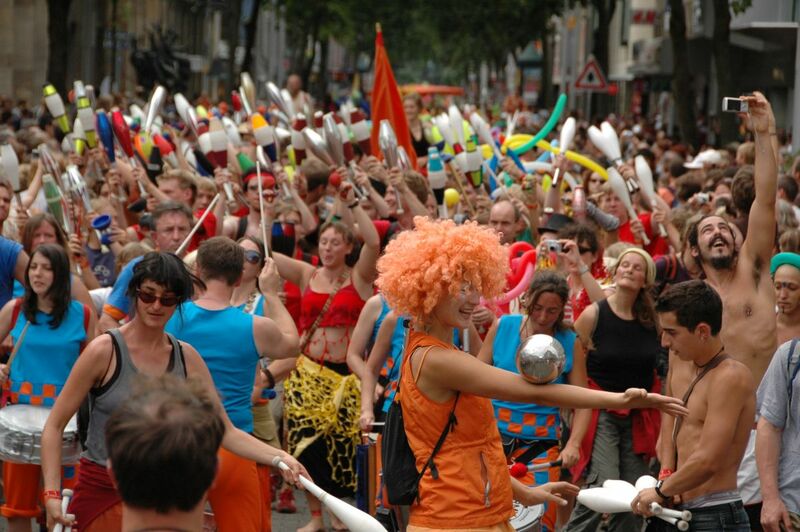 Parade and Opening Show: On Sunday afternoon the Jugglers’ Parade will travel from the EJC-site through the Old Town to the Town Square where at 16:30 the Opening Show with many international acts will take place. Streetshows: At selected spots throughout the city of Bruneck there will be Streetshows of renowned street-artists from Monday to Friday between 16:00 and 19:30 (on Friday even until 22:00). 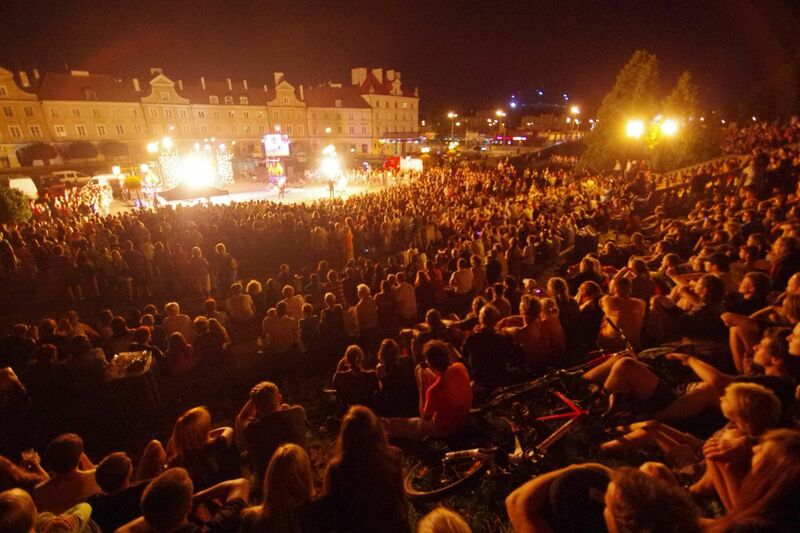 Fire-Gala: An EJC 2015 highlight in the center of the city! 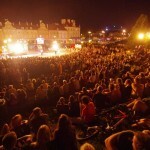 On Tuesday at 23:00 the Fire-Gala will take place – a spectacular event with ubelievable fire-artists. 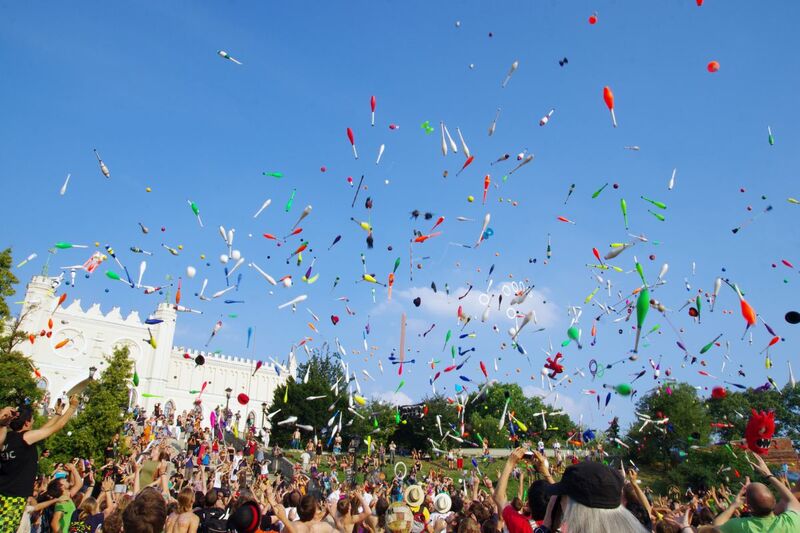 Workshops: Throughout the week workshops for beginners will be held in the city, where everyone who wants to learn the art of juggling can participate. The exact schedule and location is still to be published. Another highlight of every EJC is the grand Gala-Show at the end of the convention-week – a spectacular and internationally cast show. 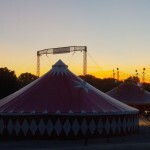 It takes place in the Big Top at the EJC-site and will be shown three times to ensure that all the convention-participants will be able to see it. For the show on Saturday August 8th at 18:00 tickets for the show will also be sold to non-convention-participants! You shouldn’t miss this unique opportunity! Tickets will be available at the Bruneck Tourist Information Office from August 3rd on (while stocks last; full price 25 €, reduced price 20 €). 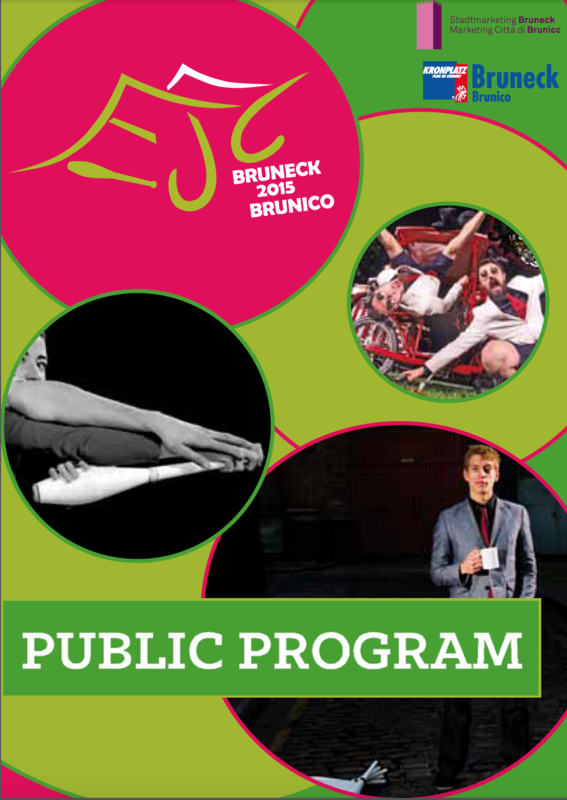 The access to the EJC 2015 site around the Bruneck school-center is only available for registered participants (there will be access-controls at the site-entries). For everyone who isn’t satisfied with all the hustle and bustle going on in the city, there is the possibility to buy a week- or day-ticket to get access the convention-site. It’s possible to buy those tickets already beforehand (tickets are cheaper in the advanced sale than onsite). Prices and details can be found here. On the square just outside the EJC-site numerous traders of juggling-goods will set up their stands to supply jugglers and everyone interested with new props. 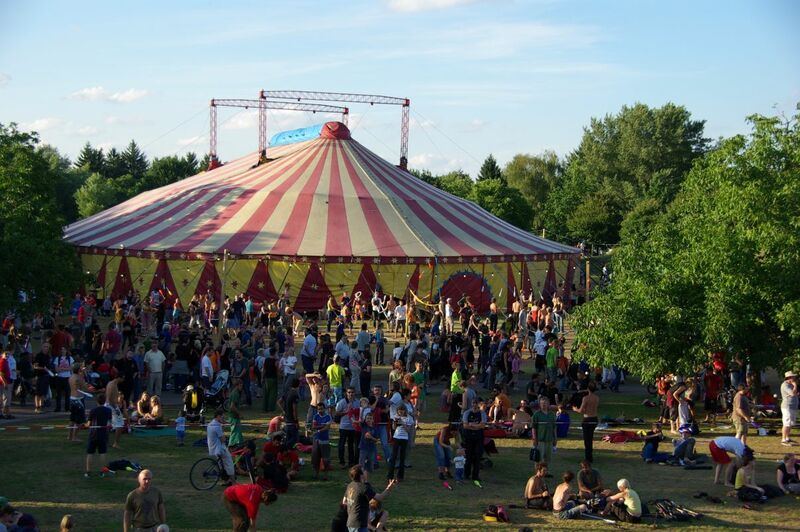 The access is possible for everyone, you don’t need to buy an access-pass to the EJC-site. The opening hours of the traders stands are still to be published.